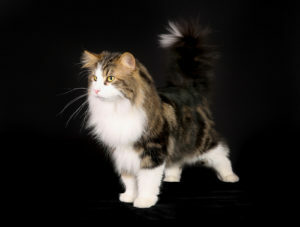 What Are the Most Common Colors of Norwegian Forest Cats? Norwegian Forest cats come in a myriad of colors. In addition to color variations, they can have numerous coat patterns. 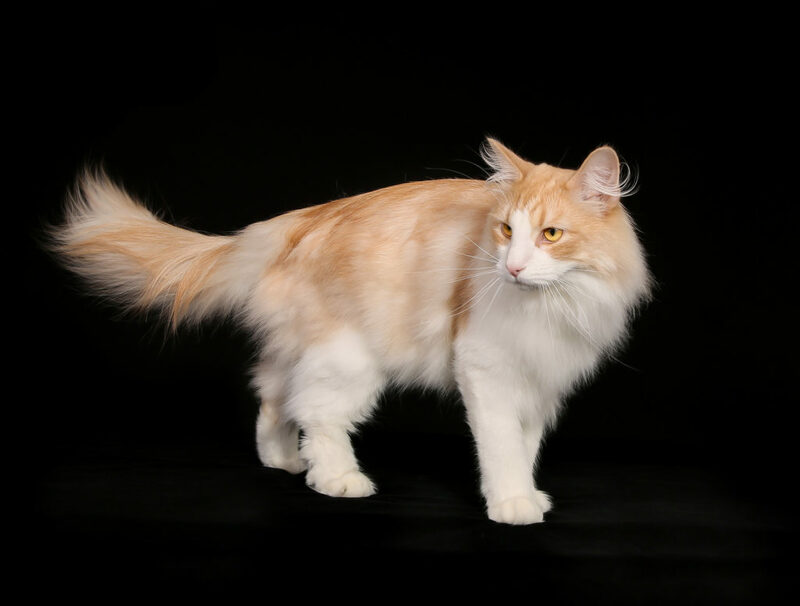 Most colors and patterns of Norwegian Forest Cats are widely accepted by fanciers, so unlike other breeds, you don’t need to worry too much about a particular color or pattern signaling impurity with the exception of a handful of colors we will discuss shortly. In fact, patterns are not even documented at the time of breed registration because of the countless possibilities and variations. The eye colors of Norwegian Forest cats can be blue, orange or green. You should note that lilac, cinnamon, chocolate and fawn are not accepted colors of a Norwegian Forest cat. There are some who don’t accept amber or light amber either. All these variants can come in an all-white coat with specific types of patterns. Depending on the variant, there will be special facial features and there can be some stripes or spots of different hues on different parts of the body including the legs, tail, around the neck and between the ears. Many of these differences are noticeable even to an untrained eye but some are much more subtle and discernible only by an experienced breeder.